Madelyn Hawkins is super smart. At sixteen, she's so gifted that she can attend college through a special program at her high school. On her first day, she meets Bennet. He's cute, funny, and kind. He understands Madelyn and what she's endured - and missed out on - in order to excel academically and please her parents. Now, for the first time in her life, she's falling in love. There's only one problem. 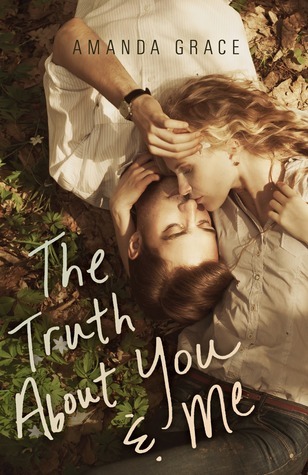 Bennet is Madelyn's college professor, and he thinks she's eighteen - because she hasn't told him the truth. The story of their forbidden romance is told in letters that Madelyn writes to Bennet - both a heart-searing ode to their ill-fated love and an apology. This is one of those books that you hope the ending is different than it is but you also know it can't be any other way. Which is both good and not so good. I got myself fully invested in this story and was hoping with all hope the ending wouldn't be sad--but it was. It was real. I was left wanting in the end and yet knowing there was no other possible outcome. Madelyn is a college student. Who just happens to still be a sixteen year old. She gets a little close with her college professor Bennet. You can guess where the story goes from there. Everything is not as it would seem from the outside. It's really sad. I want them to be together. How sick is that?! I really enjoyed this story. I was glued to it and I wanted what I wanted. But, I didn't get it. So the ending just ruined the story for me. I read for the happy ending. This didn't have one. It was realistic but just not what I enjoy. Yeah - I need the HEA... NEED!!! But I think I may hunt this one out anyway. It does sounds good, and maybe since I'm warned? ?